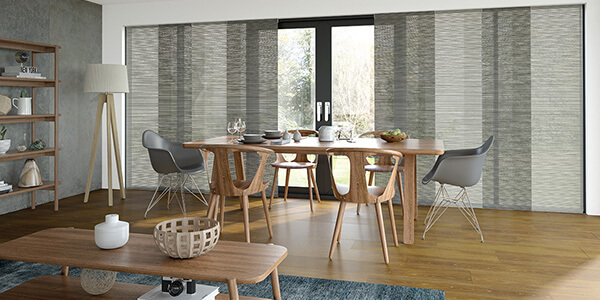 Adaptable and versatile, Panel Glides are blinds with a difference. An elegant and alternative window covering without dominance, perfect for wide open spaces. Over 50 colour’s to choose from in sheer, translucent & block out. 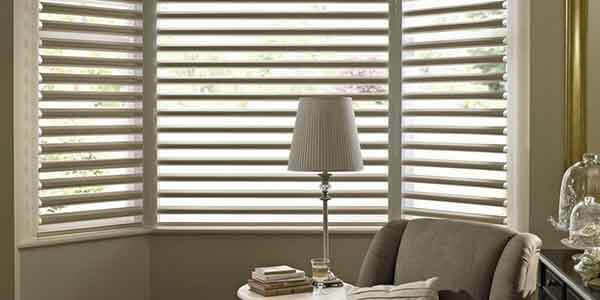 Sun Solutions offer a variety of Venetian blinds for your home. We offer you the choice of Timberstyle by Verosol in two blade widths with distinctly different styles. Available in a range of colour’s to complement your home. 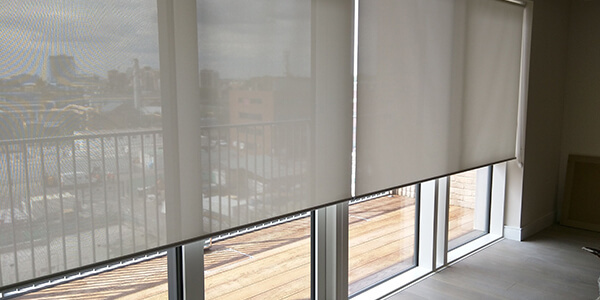 The Vertical blind is one of the few window products that allows you to control both the light required into the room, while at the same time catering for your privacy needs. Our fabric range offers everything you could desire in colour and texture. 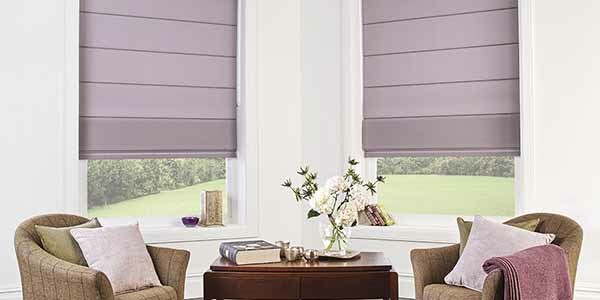 Holland Blinds remain one of the most functional and economical ways of managing heat and light with a window covering. Controlling Holland Blinds can be done with ease by manual spring operation, smooth operating chain drive or electric remote control. The simple lines of Roman Blinds from Sun Solutions will give any room that decorator finish. 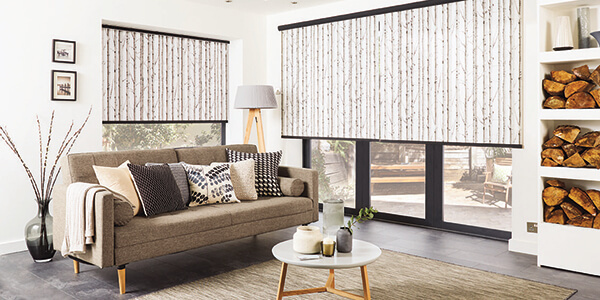 Available in a wide range of stylish fabrics available in a broad selection of colours and texture from filtered translucent to full UV block out. 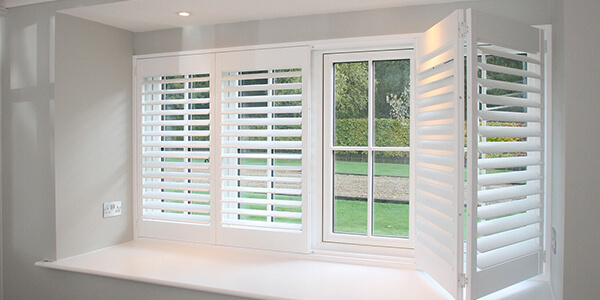 Plantation Shutters are the ideal coverings for windows, doors and as room dividers. They come in a range of frames and blades styles to suit all applications and interiors. Each model is offered with hardware for sliding, hinging, bi-folding or fixing in position. Bistro blinds are such a versatile option, simply wind them back up when you don’t require them or as the weather dictates. These strong, easy to clean blinds are great for windy areas and commercial applications. Ideal for cooler evenings, Bistro blinds can protect any area from the weather. 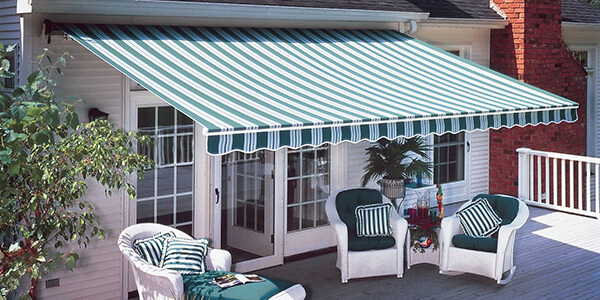 These awnings are great to cover in verandahs, patios, and pergolas. Operated as spring-loaded or geared, the straight drop awning is available in canvas and woven mesh. 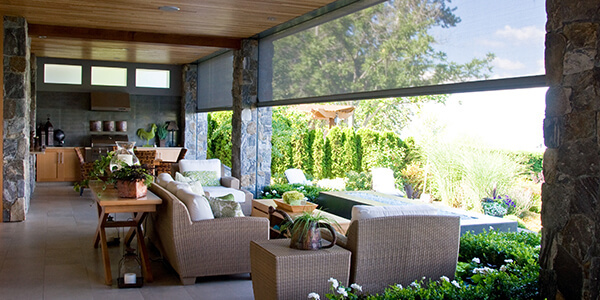 Sunscreen Awnings are an affordable way to control heat and light in your home whilst still maintaining your view. 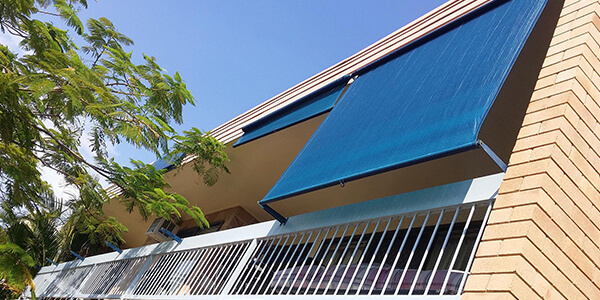 Canvas awnings help reduce your electricity bills by up to 25% if you run air conditioning and provide shade without shutting out the view. Protecting your floor coverings and furniture, they are an environmentally friendly way to cool your home. They also give excellent privacy when required. 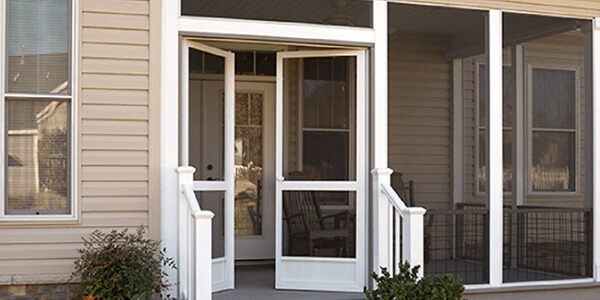 Whether to stop an illegal entry or just a pesky blowfly, we can secure your homes doorways with gravity die cast recyclable aluminum screen doors. We offer a very wide range of colours in strong, durable powder coated finishes backed by our Sun Solutions 12 month guarantee. 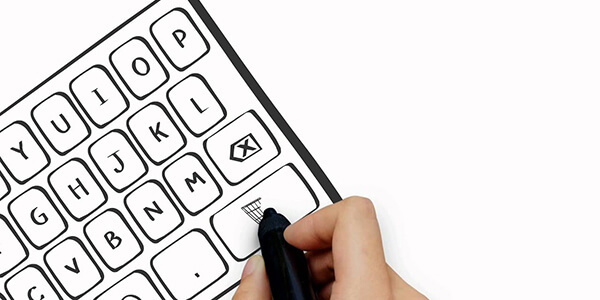 We can screen the seemingly impossible! Solariums, spas, pergolas, caravans, holiday units, annexes, sundecks, transportable, houseboats, etc, etc. With its simple retractable design that allows it to fit snugly into any door frame it is the only universal screen fastening system with endless applications. Close off your home completely to outsiders or create a controlled outlook with partially opened slats. 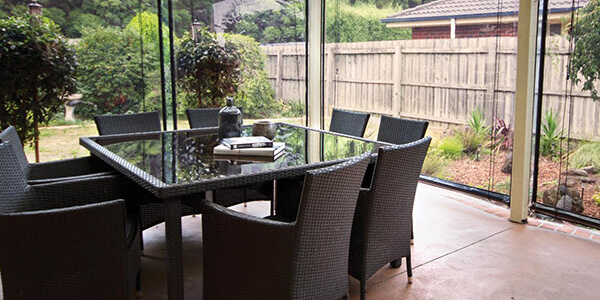 This allows you the ability to see out whilst still having privacy from the outside of the home. 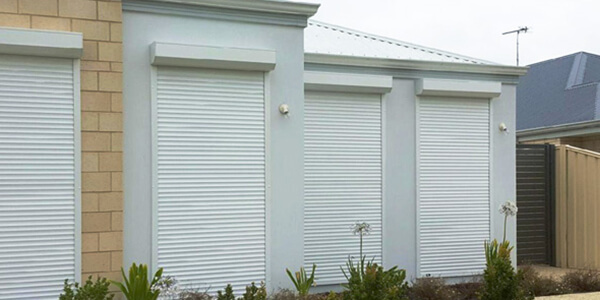 Roller shutters are seen as a real deterrent to would-be intruders by providing obvious protection against burglary & vandalism by preventing easy access through open windows. After sending us the necessary information we will email you a very competitive quote that includes delivery to your front door. If you think that installing your choice is a bit too hard, we can arrange to have them professionally installed at a small extra charge. 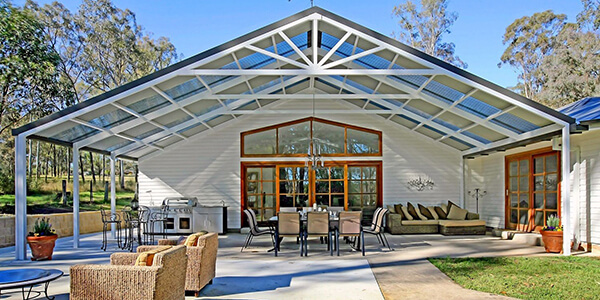 If there is any problems or questions Sun Solutions Home Improvement Goulburn are only a phone call away. 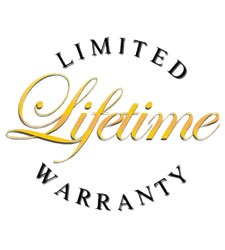 Sun Solutions Home Improvement Guarantee's that any product purchased through us will live up to our high standards, and if it doesn't in the course of normal use, we will replace it free. 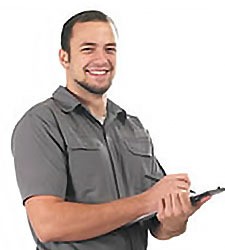 Get it professionally installed by our experienced crew, no fuss, no mess, and the knowledge that it was done right. Our installation team will answer any questions you have, and have a cup of tea with you afterwards.